One of the greatest singers of our lifetime and Taylor Swift will star in the long-in-the-works movie version of Cats the musical. 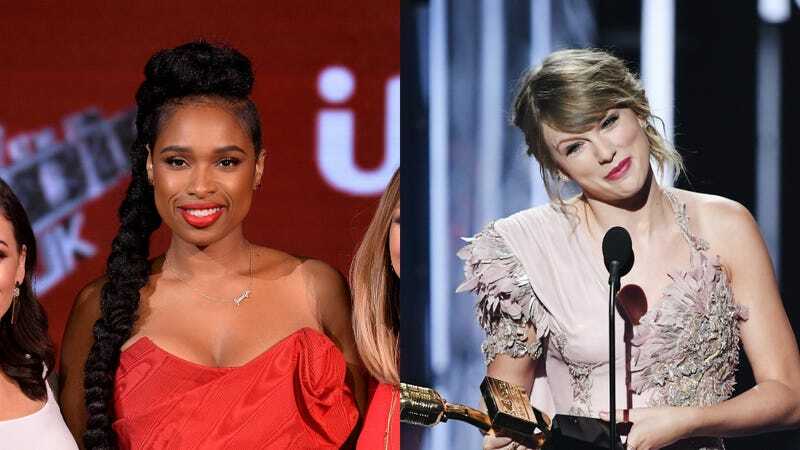 Jennifer Hudson and Swift are confirmed for the upcoming film, along with James Corden and Ian McKellen, Deadline reports. Cats, the movie, was first announced in 2016; known details of the project include that its director, Tom Hooper, also directed the movie version of Les Miserables starring Hugh Jackman and Anne Hathaway. A nice get for the studio, for sure. Deadline also reports that the team will start shooting in the UK this fall. All lovely, lovely details. And yet, I have some questions: Will Hudson, Swift, and the rest of the cast be... made to look like cats? Actually, that’s it—that’s my only question. (The answer is, most likely, based on the musical.) But I’m dying to know, on a scale from 0 to my neighbor’s tabby Mr. Pickles, just how cat-like will the cats in Cats, the movie, be?